Legal Terms and Conditions Welcome to “Acura2000.com” (this “Site”) created, operated and maintained by Policaro Investments Ltd. (“Acura 2000”). You are invited to access, browse and use this Site on the following legal terms and conditions (“Legal Terms and Conditions”). By accessing, browsing or using this Site, you are agreeing to these Legal Terms and Conditions. This forms a legally binding agreement between you and Acura 2000. Accordingly, Acura 2000 encourages you to read the Legal Terms and Conditions. If you do not agree with the Legal Terms and Conditions, do not use this Site. If at any time during your use of this Site you disagree with the Legal Terms and Conditions, kindly cease to use this Site. Acura 2000 suggests that you save or print a copy of these Legal Terms and Conditions for your records before using this Site. 1. Intellectual Property Rights Notices Copyright © Acura 2000. All rights reserved. All content on this Site, including but not limited to, all software, text, data, sound, programming, visual images, graphics and the design of this Site and the selection, organization and arrangement of the foregoing (collectively, the “Content”), are protected by copyright and other intellectual property laws and are either owned or used under license by Acura 2000. The trademarks, service marks, logos and other marks used on this Site by Acura 2000 (the “Trademarks”) are either owned or controlled, or licensed to, Acura 2000. The Trademarks may not be used without the prior written permission of Acura 2000 and may not be used in connection with any product or service in any manner that is likely to cause confusion among customers, or in any manner that disparages or discredits Acura 2000. All other trademarks, service marks, logos and other marks which appear on this Site are the property of their respective owners. You agree to comply with any requisite additional copyright notices, or restrictions contained in any of the Content. 2. Restrictions on Use You may download and use a reasonable number of copies of the Content on any single computer for your own personal, non-commercial use only, provided that you: (a) keep all copyright and other proprietary notices intact, (b) do not modify the Content, and (c) do not use the Content to suggest an association with Acura 2000 or any of its products, services or brands. You may not modify, publish, transmit, transfer, sell, reproduce, upload, post, distribute, perform, display, create derivative works from, or in any way exploit any of the Content, in whole or in part, except as Acura 2000 expressly permits in these Legal Terms and Conditions. Your use of the Content for any purpose other than the one expressly permitted in these Legal Terms and Conditions (including your use of any of the Content on any other website or networked computer environment) is a violation of the intellectual property rights and other proprietary rights of Acura 2000 and may subject you to civil liability or criminal prosecution under applicable laws. 3. Canadian Content The vehicles described on this Site contain uniquely Canadian specifications and equipment and are available only to Canadian residents in Canada and only where permitted by law. The pricing and other financial information on this Site is in Canadian dollars, unless Acura 2000 states otherwise, and Acura 2000 is permitted to change the pricing and other financial information at any time without notice to you. 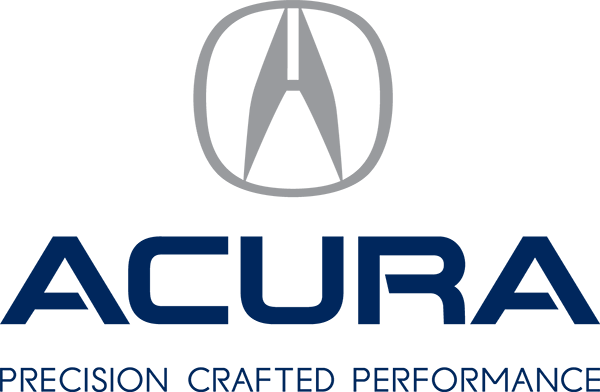 The promotional sales programs, employment opportunities and services described on this Site are only available through Acura 2000. Acura 2000 is permitted to change any vehicle specifications, promotional sales programs, employment opportunities, and other information available on this Site at any time without notice to you. 4. Disclaimers (a) No Reliance – All of the information contained on this Site is provided to you for information purposes only and does not in any way constitute advice or an offer to buy or sell any vehicle by Acura 2000. You should not use or rely on any of the information on this Site, including without limitation any calculations of prices, taxes, finance rates and valuations, as a substitute for the information that is available to you at Acura 2000. In the event that any information on this Site is inconsistent with, or conflicts with, information supplied to you by Acura 2000, the information provided to you by Acura 2000 takes precedence and supercedes the information on this Site. This Site, Acura 2000, Acura Canada Inc. and its affiliates are not responsible for any detrimental reliance you may place on this Site. (b) No Legal Relationship – Your use of this Site is not intended and shall not be deemed to create any legal relationship of any kind between you and Acura 2000, or amend or vary any existing legal relationship. (c) Future Products and Services – From time to time Acura 2000 may identify proposed future products or services on this Site that are not currently available through Acura 2000. This information is provided for informational purposes only and Acura 2000 is under no obligation to provide or otherwise deliver these products or services to you. (d) No Site Warranties – This Site, any hyper-linked website and the Content and any functionality contained on this Site are provided on an “as is, as available” basis and without representations, warranties or conditions of any kind, either express or implied by Acura 2000. Acura 2000 does not warrant that the functionality on this Site will be uninterrupted or error-free, that defects on this Site will be corrected, or that this Site or the server that makes it available are free of viruses or other harmful components. Acura 2000 is not liable to you for damage to your computer or computer system which results from your accessing, browsing or using this Site. Acura 2000 does not represent or warrant that the information on this Site is accurate, complete or current. All of the risk associated with your use of this Site, including but not limited to, the risks associated with the quality and performance of this Site and with the accuracy, comprehensiveness and timeliness of the Content is assumed solely by you. (e) No Product Warranties – Acura 2000 does not make any representations, warranties or conditions of any kind, express or implied, as to any vehicle, product or service, including but not limited to, the merchantability, merchantable quality or fitness for a particular purpose of any vehicle, product or service. Acura 2000 expressly disclaims any other implied warranties imposed by law. If you choose to purchase an Acura vehicle from Acura 2000, your purchase shall be governed solely and exclusively by any agreement entered into between you and Acura 2000. (f) General – To the maximum extent permissible by law, Acura 2000 disclaims all representations, warranties and conditions express or implied, including but not limited to, representations, warranties and conditions of merchantability, merchantable quality, fitness for a particular purpose, title, non-infringement of proprietary rights and those arising from a course of dealing, trade or performance. 5. Limitation of Liability To the maximum extent permitted by law, in no event shall Acura 2000 and its directors, officers, agents, employees, representatives, licensors and those for whom Acura 2000 is in law responsible (collectively, the “Acura Parties”) be liable for any special, incidental, indirect, consequential, punitive or exemplary damages of any kind whatsoever (including, without limitation, damages for loss of revenue, loss of profits, failure to realize expected savings, interruption of activities, or any other pecuniary or economic loss) arising out of the use of or inability to use this Site or any product or service described or provided on this Site, even if any of the Acura Parties have been advised of the possibility of such damages or could reasonably foresee such damages occurring. In any event, the Acura Parties’ total liability to you for all damages, losses, and causes of action, whether in contract, tort (including negligence), strict liability or otherwise, shall be limited to one hundred dollars ($100). In no event shall any Acura Party be liable for any damages of any kind arising from the use of any hyper-linked site. You agree that this limitation of liability is comprehensive and applies to all damages of any kind. 6. Indemnity You hereby agree to indemnify, defend and hold harmless the Acura Parties from and against any and all claims, demands, actions, liabilities, losses, costs and expenses (including reasonable legal fees) in connection with: (i) any use or alleged use of this Site under your password by any other person, whether or not authorized by you, (ii) your breach of these Legal Terms and Conditions; and (iii) your violation of any law or the rights of a third party arising out of your use of this Site. The Acura Parties reserve the right to assume, at their own expense, the exclusive control and defense of any claims, demands and actions arising in connection with this indemnity and you agree to cooperate with the Acura Parties’ defense of these claims, demands and actions. 7. Modification or Termination of Service Acura 2000 reserves the right, in its sole discretion, to restrict, suspend or terminate your access to all or any part of this Site at any time, for any reason and without prior notice to you and without any liability to you for doing so. Acura 2000 may change, modify, suspend or discontinue all or any part of this Site at any time without prior notice to you and without liability to you for doing so. 8. Links to Third Party Sites This Site contains hyper-links to third party websites. Your use of any website linked to this Site is at your own risk and Acura 2000 is not responsible for the availability, accuracy or reliability of the contents of any linked website or any link contained in a linked website. Acura 2000 provides these links to you for your convenience only, and the availability of any link does not imply or constitute Acura 2000’s endorsement of the linked website or its contents. 9. Changes to these Legal Terms and Conditions Acura 2000 reserves the right to, at any time, modify these Legal Terms and Conditions, and you agree to be bound by any such modifications. Such modifications shall be effective immediately upon Acura 2000 giving notice thereof, which may be given by any means, including, but not limited to, posting on this Site. You agree to regularly review these Legal Terms and Conditions posted at this Site and to be aware of such modifications. Your use of this Site following any such modification constitutes your agreement to follow and be bound by the modified Legal Terms and Conditions. If at any time, these Legal Terms and Conditions are no longer acceptable to you, you should immediately cease all use of this Site. 10. Jurisdiction; Governing Law and Arbitration Acura 2000 makes no representation that the Content on this Site is appropriate or available for use in any particular location. You are responsible for compliance with the local laws of your location, if and to the extent such local laws are applicable. These Legal Terms and Conditions and your use of this Site shall be governed by and construed in accordance with the laws in force in the Province in which Acura 2000 is located and the federal laws of Canada, without reference to any choice of law or conflict of law principles. The United Nations Convention on Contracts for the International Sale of Goods does not apply to these Legal Terms and Conditions or any communication with or transaction through this Site. Any disputes or claims arising out of or related to these Legal Terms and Conditions or your use of this Site shall be submitted to binding arbitration pursuant to the Laws of the Province in which Acura 2000 is located or any successor legislation. Arbitration of all matters will be determined by a single arbitrator acceptable to both parties, acting reasonably, and all such arbitration proceedings shall be held exclusively in the Province in which Acura 2000 is located. Any claim or cause of action that you may have with respect to your use of this Site must be commenced within one (1) year after the claim or cause of action arises. 11. General If any provision of these Legal Terms and Conditions shall be deemed unlawful, void or otherwise unenforceable, then such provision shall be deemed severable from these Legal Terms and Conditions and shall not affect the validity and enforceability of any remaining provisions. Sections 1, 2, 4, 5, 6, 7, 9, 11 and 12 shall survive any termination of this Agreement as well as any other provisions which by their terms or nature are intended to survive. These Legal Terms and Conditions comprise the entire agreement between you and Acura 2000 and supersede all prior agreements between you and Acura 2000 with respect to your use of this Site. 12. English Language The Parties to this Agreement declare that they have requested that this Agreement and all ancillary documents be prepared in the English language.